Regardless whether used as drag hose for irrigation, sludge and slurry hose, or simply as dewatering hose, our products have proven to be the best choice. Our rubberlined hoses are highly resistant to liquid manure and chemicals. Due to their excellent UV and weather resistance, our layflat hoses are well-suited for all agricultural applications. They combine high tensile strength as well as high abrasion resistance due to the advanced rubber compounds as well as the special ribbed outside surface. 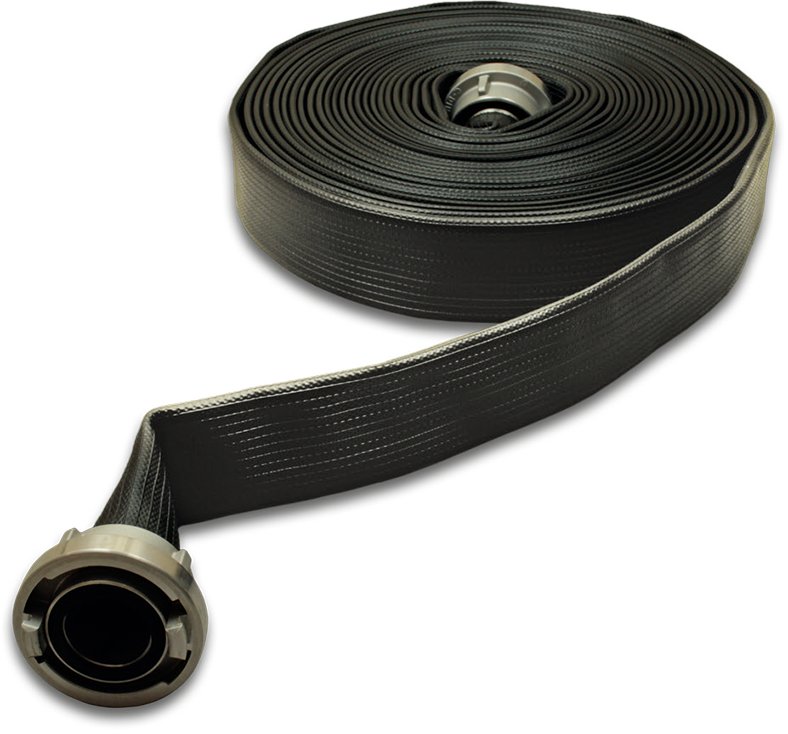 Especially when used as drag hoses, our advanced and reinforced layflat hoses are state of the art. Our high-quality polyurethane hoses are known for their minimal pressure loss due to the very smooth inner surface combined with an excellent resistance to abrasive materials.